After a six-year absence, Del Taco brings back shredded beef for a limited time and is running a couple of promotions today to encourage people to try it. Del Taco's shredded beef is seared and seasoned with onion, garlic, and oregano. It can be found chain-wide at participating restaurants. - Shredded Beef Combo Burrito (2 for $6) - Seasoned shredded beef, slow-cooked beans, tangy green sauce, and grated cheddar cheese wrapped in a warm flour tortilla. - Epic Shredded Beef Burrito - Seasoned shredded beef, fresca lime rice, guacamole, and pico de gallo wrapped in a warm flour tortilla. - Shredded Beef Soft Taco - Seasoned shredded beef, lettuce, grated cheddar cheese and diced tomatoes folded in a warm flour tortilla. - Shredded Beef Street Taco Plato - Warm corn tortillas filled with seasoned shredded beef, tangy green sauce, diced onions, chopped cilantro, and sliced avocado. It also comes with fresca lime rice, slow-cooked beans, house-made tortilla chips, and salsa casera. If you happen to be in the Los Angeles area today, Thursday, September 27, 2018, you can visit the dining room of the Del Taco restaurant at 4376 Sunset Blvd. from 5 PM to 9 PM with any competitor's coupon and exchange it for a free Shredded Beef Combo Meal of your choice. 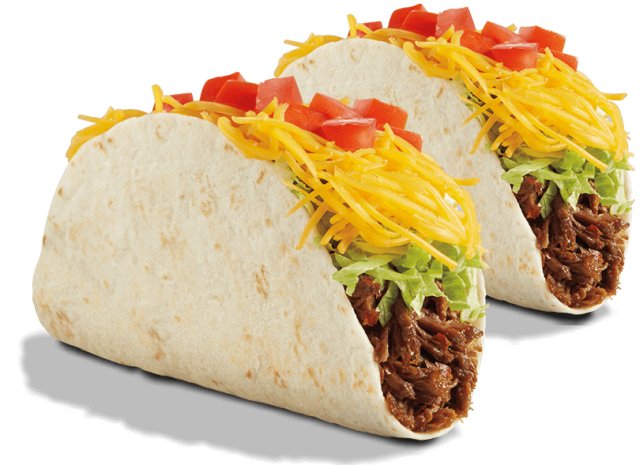 For customers not in the Los Angeles area, Del Taco will be handing out free coupons today that are redeemable for a "buy one, get one free Shredded Beef Soft Taco" on your next visit. You can also visit the Del Taco Facebook, Twitter, and/or Instagram account to download a "buy one, get one free Shredded Beef Soft Taco" coupon that's only good on National Taco Day, October 4, 2018.